Are you a thoughtful person? Do you like new and thought provoking games? Sudoku Story brings together storytelling, strategy defense, and the most challenging sudoku puzzles into one completely new and innovative game. With pandas, ninjas, mobsters, and surprises around every corner, we have just one piece of advice for you: Think fast! 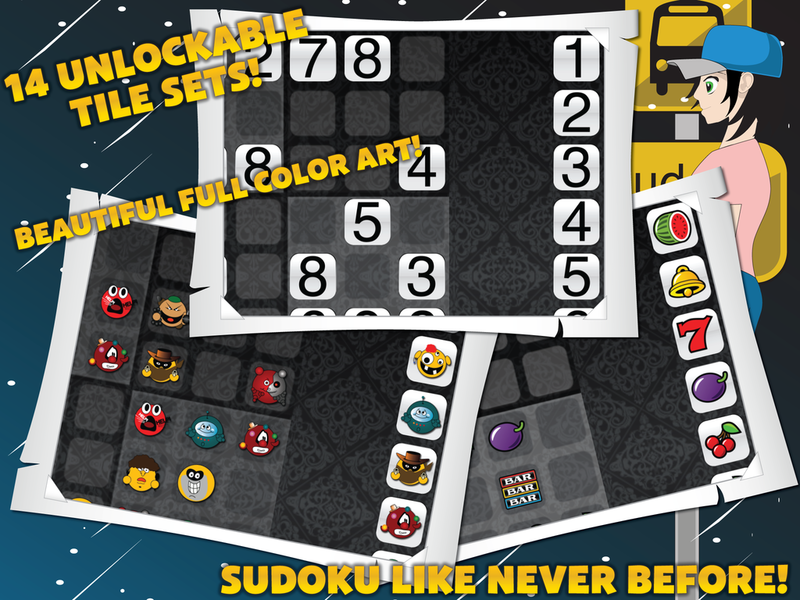 Sudoku Story is the first game of its kind. 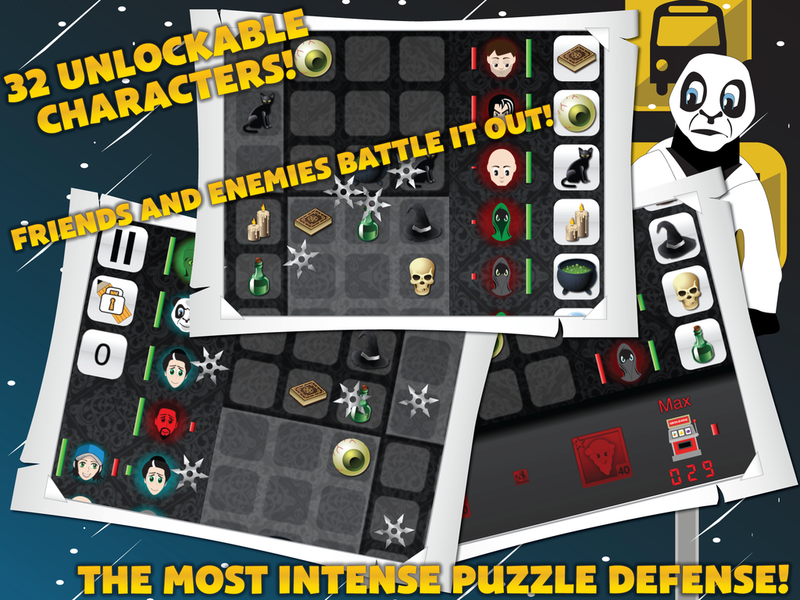 It is a new breed of puzzle game that we have coined "Puzzle Defense." The main gameplay involves solving ever more challenging sudoku (and symbolic sudoku) puzzles while simultaneously fighting off your enemies in a real-time strategy defense battle. Best of all its free! A beautiful full color comic (with animated display) is unlocked as you progress through the game. 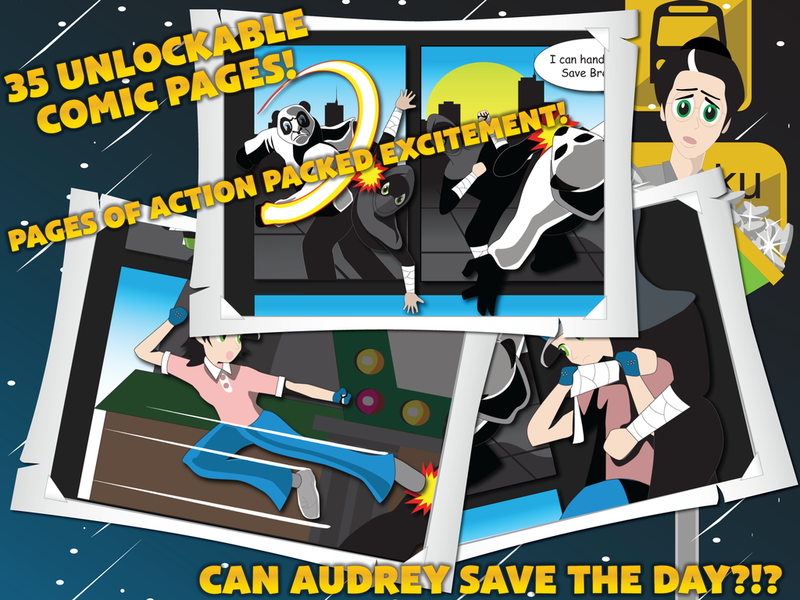 The comic tells the story of Audrey, a waitress who got on the wrong bus and ended up in the adventure of a lifetime. The only way to find out if Audrey can save the day is to fight your way through 50 puzzle defense battles of increasing difficulty. Unlock 30 characters, 8 special moves, and 6 board upgrades to help you on your journey. Amazing Power Ups such as Fire Bomb, Wizard's Mirrors, and Jackpot can help you beat especially tough battles. 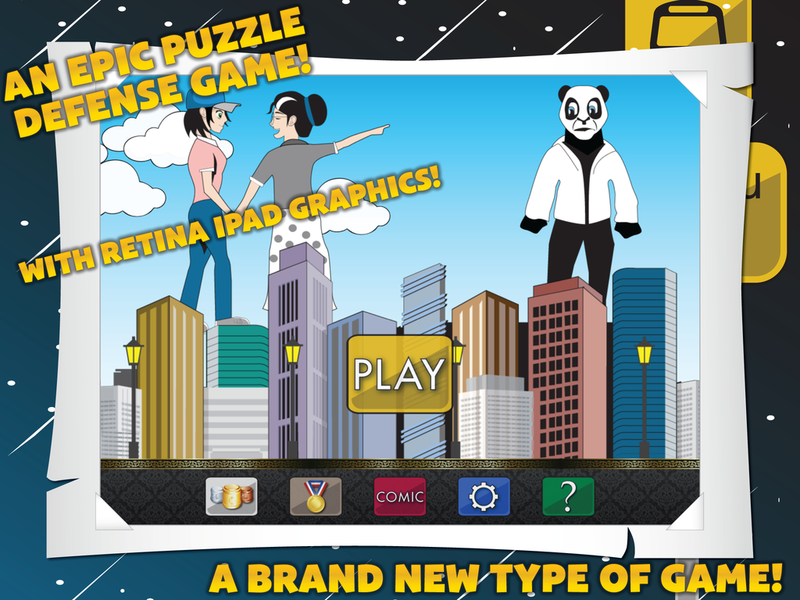 "An awesome sudoku game with a great story!" 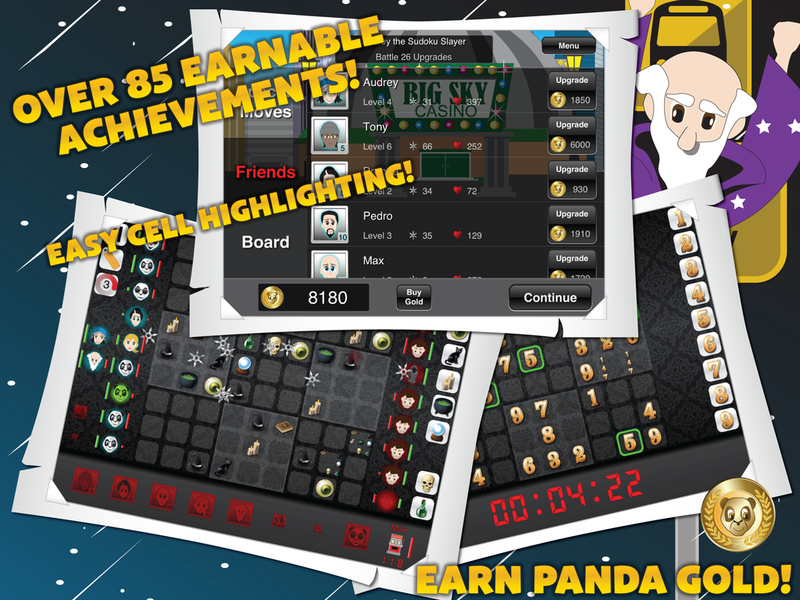 Think you have what it takes to battle ninjas, mobsters, and the hardest sudoku puzzles at the same time?